El Árbol de la Vida: sistemática y evolución de los seres vivos. P Vargas & R. Zardoya eds, Madrid, 617 págs. Dónde adquirirlo. Entrevista a los autores en RNE. A hombros de gigantes. Mi principal línea de investigación se viene denominando sistemática molecular de plantas vasculares (principalmente mediterráneas y macaronésicas): diversidad, biogeografía y conservación. La historia de la colonización por plantas en islas oceánicas: dispersión dentro de Galápagos. Blanco-Pastor, J.L. ; Fernández-Mazuecos, M.; Coello, A.J. ; Pastor, J.; Vargas, P. 2019. Topography explains the distribution of genetic diversity in one of the most fragile European hotspots. Diversity and Distributions 25(1):74-89. Fernández-Mazuecos, M.; Blanco-Pastor, J.L. ; Juan, A.; Carnicero, P.; Forrest, A.; Alarcón, M.; Vargas, P.; Glover, B.J. 2019. Macroevolutionary dynamics of nectar spurs, a key evolutionary innovation. New Phytologist [in press]. Otero, A.; Jiménez-Mejías, P.; Valcárcel, V.; Vargas, P. 2019. Being in the right place at the right time? Parallel diversification bursts favored by the persistence of ancient epizoochorous traits and hidden factors in Cynoglossoideae. American Journal of Botany [in press]. Arjona, Y.; Nogales, M.; Heleno, R.; Vargas, P. 2018. Long-distance dispersal syndromes matter: Diaspore-trait effect on shaping plant distribution across the Canary Islands. Ecography [in press]. Coello, A.J. ; Leo, M.; Arjona, Y.; Vargas, P. 2018. Are long-distance dispersal syndromes associated with the conservation status of plant species? The Canary Islands as a case study. Mediterranean Botany 39(2):105-110. Correia, M.; Heleno, R.; Vargas, P.; Rodríguez-Echeverría, S. 2018. Should I stay or should I go? Mycorrhizal plants are more likely to invest in long-distance seed dispersal than non-mycorrhizal plants. Ecology Letters 21(5):683-691. Fernández-Mazuecos, M.; Mellers, G.; Vigalondo, B.; Sáez, L,; Vargas, P.; Glover, B.J. 2018. Resolving recent plant radiations: power and robustness of genotyping-by-sequencing. Syst. Biol. [in press]. Julca, I.; Marcet-Houben, M.; Vargas, P.; Gabaldón, T. 2018. Phylogenomics of the olive tree (Olea europaea) reveals the relative contribution of ancient allo- and autopolyploidization events. BMC Biology. 16(1):art.15. Olesen, J.M. ; Damgaard, C.F. ; Fuster, F.; Heleno, R.H.; Nogales, M.; Rumeu, B.; Trøjelsgaard, K.; Vargas, P.; Traveset, A. 2018. Disclosing the double mutualist role of birds on Galápagos. Scientific Reports 8:57. Rundel, P.W. ; Arroyo, M.T.K. ; Cowling, R.M. ; Keeley, J.E. ; Lamont, B.B. ; Pausas, J.G. ; Vargas, P. 2018. Fire and plant diversification in mediterranean-climate regions. Frontiers in Plant Science 9:851. Vargas, P.; Fernández-Mazuecos, M.; Heleno, R. 2018. Phylogenetic evidence for a Miocene origin of Mediterranean lineages: species diversity, reproductive traits and geographical isolation. Plant Biology. 20(S1):157-165. Forrest, A.; Escudero, M.; Heuertz, M.; Wilson, Y.; Cano E.; Vargas, P. 2017. Testing the hypothesis of low genetic diversity and population structure in narrow endemic species: The endangered Antirrhinum charidemi (Plantaginaceae). Botanical Journal of the Linnean Society. 183(2):260-270. Garciá-Aloy, S.; Sanmartín, I.; Kadereit, G.; Vitales, D.; Millanes, A.M.; Roquet, C.; Vargas, P.; Alarcón, M.; Aldasoro, J.J. 2017. Opposite trends in the genus Monsonia (Geraniaceae): Specialization in the African deserts and range expansions throughout eastern Africa. Scientific Reports 7(1):9872. García-Aloy, S.; Vitales, D.; Roquet, C.; Sanmartín, I.; Vargas, P.; Molero, J.; Kamau, P.; Aldasoro, J.J.; Alarcón, M. 2017. North-west Africa as a source and refuge area of plant biodiversity: A case study on Campanula kremeri and Campanula occidentalis. Journal of Biogeography 44:2057-2068. Guzmán, B.; Fedriani, J.M. ; Delibes, M.; Vargas, P. 2017. The colonization history of the Mediterranean dwarf palm (Chamaerops humilis L., Palmae). Tree Genetics and Genomes 13(1):e24. Guzmán, B.; Gómez, J.M. ; Vargas, P. 2017. Is floral morphology a good predictor of floral visitors to Antirrhineae (snapdragons and relatives)?. Plant Biology 19(4):515-524. Guzmán, B.; Heleno, R.; Nogales, M.; Simbaña, W.; Traveset, A.; Vargas, P. 2017. Evolutionary history of the endangered shrub snapdragon (Galvezia leucantha) of the Galápagos Islands. Diversity and Distributions 23(3):247-260. Jiménez-Mejías, P.; Fernández-Mazuecos, M.; Gutiérrez, L.; Álvarez, I.; Vargas, P. 2017. Narrow endemics in Mediterranean scrublands: high gene flow buffers genetic impoverishment in the annual monospecific Castrilanthemum (Asteraceae). Biodiversity and Conservation 26(11):2607-2626. Mairal, M.; Sanmartín, I.; Herrero, A.; Pokorny, L.; Vargas, P.; Aldasoro, J.J.; Alarcón, M. 2017. Geographic barriers and Pleistocene climate change shaped patterns of genetic variation in the Eastern Afromontane biodiversity hotspot. Scientific Reports 7: e45749. Nogales, M.; González-Castro, A.; Rumeu, B.; Traveset, A.; Vargas, P.; Jaramillo, P.; Olesen, J.M. ; Heleno, R.H. 2017. Contribution by vertebrates to seed dispersal effectiveness in the Galápagos Islands: a community-wide approach. Ecology 98(8):2049-2058. Patiño, J.; Whittaker, R.J.; Borges, P.A.V. ; Fernández-Palacios, J.M. ; Ah-Peng, C.; Araújo, M.B. ; Ávila, S.P. ; Cardoso, P.; Cornuault, J.; de Boer, E.J. ; de Nascimento, L.; Gil, A.; González-Castro, A.; Gruner, D.S. ; Heleno, R.; Hortal, J.; Illera, J.C.; Kaiser-Bunbury, C. 2017. A roadmap for island biology: 50 fundamental questions after 50 years of The Theory of Island Biogeography. Journal of Biogeography 44(5):963-983. Rumeu, B.; Devoto, M.; Traveset, A.; Olesen, J.M. ; Vargas, P.; Nogales, M.; Heleno, R. 2017. Predicting the consequences of disperser extinction: Richness matters the most when abundance is low. Functional Ecology 31(10):1910-1920. Valcárcel, V.; Guzmán, B.; Medina, N.G. ; Vargas, P.; Wen, J. 2017. Phylogenetic and paleobotanical evidence for late Miocene diversification of the Tertiary subtropical lineage of ivies (Hedera L., Araliaceae). BMC Evolutionary Biology 17(1):e146. Vargas, P.; Liberal, I.; Ornosa, C.; Gómez, J.M. 2017. Flower specialisation: The occluded corolla of snapdragons (Antirrhinum) exhibits two pollinator niches of large long-tongued bees. Plant Biology 19(5):787-797. Villaverde, T.; Escudero, M.; Martín-Bravo, S.; Jiménez-Mejías, P.; Sanmartín, I.; Vargas, P.; Luceño, M. 2017. Bipolar distributions in vascular plants: A review. American Journal of Botany. 104(11):1680-1694. Fernández-Mazuecos, M.; Jiménez-Mejías, P.; Martín-Bravo, S.; Buide, M.L. ; Álvarez, I.; Vargas, P. 2016. Narrow endemics on coastal plains: Miocene divergence of the critically endangered genus Avellara (Compositae). Plant Biology 18(4): 729-738. Nogales M.; Heleno R.; Rumeu B.; González-Castro A.; Traveset A.; Vargas P.; Olesen J.M. ; Field R. 2016. Seed-dispersal networks on the Canaries and the Galápagos archipelagos: interaction modules as biogeographical entities. Global Ecology and Biogeography 25(7):912-922. Rumeu B.; Vargas P.; Riina R. 2016. Incipient radiation versus multiple origins of the Galápagos Croton scouleri (Euphorbiaceae). Journal of Biogeography 43(9):1717-1727. Blanco-Pastor, J.L. ; Ornosa, C.; Romero, D.; Liberal, I.M. ; Gómez, J.M. ; Vargas, P. 2015. Bees explain floral variation in a recent radiation of Linaria. Journal of Evolutionary Biology 28:851-863. Fernández-Mazuecos, M.; Vargas, P. 2015. Quaternary radiation of bifid toadflaxes (Linaria sect. Versicolores) in the Iberian Peninsula: low taxonomic signal but high geographic structure of plastid DNA lineages. Plant Systematics and Evolution 301:1411-1423. Guzmán, B.; Narbona, E.; Vargas, P. 2015. Investigating reproductive incompatibility barriers in a Mediterranean rock-rose (Cistus ladanifer). Plant Biosystems 149: 1-6. Heleno, R.H.; Vargas, P. 2015. How do islands become green? Global Ecology and Biogeography 24:518-526. Jiménez-Mejías, P.; Fernández-Mazuecos, M.; Amat, M.E. ; Vargas, P. 2015. Narrow endemics in European mountains: High genetic diversity within the monospecific genus Pseudomisopates (Plantaginaceae) despite isolation since the late Pleistocene. Journal of Biogeography 42:1455-1468. Jiménez-Mejías, P.; Vargas, P. 2015. Taxonomy of the tribe Apieae (Apiaceae) revisited as revealed by molecular phylogenies and morphological characters. Phytotaxa 212:57-79. Navarro-Pérez, M.L. ; Vargas, P.; Fernández-Mazuecos, M.; López, J.; Valtueña, F.J.; Ortega-Olivencia, A. 2015. Multiple windows of colonization to Macaronesia by the dispersal-unspecialized Scrophularia since the Late Miocene. Perspectives in Plant Ecology Evolution and Systematics 17:263-273. Traveset, A.; Olesen, J.M. ; Nogales, M.; Vargas, P.; Jaramillo, P.; Antolín, E.; Trigo, M.M. ; Heleno, R. 2015. Bird-flower visitation networks in the Galápagos unveil a widespread interaction release. Nature Communications 6:6376. Vargas, P.; Arjona, Y.; Nogales, M.; Heleno, R.H. 2015. Long-distance dispersal to oceanic islands: Success of plants with multiple diaspore specializations. AoB PLANTS 7:plv073. Vargas, P.; Rumeu, B.; Heleno, R.H.; Traveset, A.; Nogales, M. 2015. Historical isolation of the Galápagos carpenter bee (Xylocopa darwini) despite strong flight capability and ecological amplitude. PLoS ONE 10:e0120597. Vigalondo, B.; Fernández-Mazuecos, M.; Vargas, P.; Sáez, L. 2015. Unmasking cryptic species: Morphometric and phylogenetic analyses of the Ibero-North African Linaria incarnata complex. Botanical Journal of the Linnean Society 177:395-417. Amat, M.E. ; Vargas, P.; Gómez, J.M. 2014. Factors controlling seed germination of the Iberian critically endangered Pseudomisopates (Antirrhinaceae). Plant Systematics and Evolution 300: 2127-2134. Cires, E.; Baltisberger, M.; Cuesta, C.; Vargas, P.; Prieto, J.A.F. 2014. Allopolyploid origin of the Balkan endemic Ranunculus wettsteinii (Ranunculaceae) inferred from nuclear and plastid DNA sequences. Organisms Diversity and Evolution 14: 1-10. Escudero, M.; Martín-Bravo, S., Mayrose, I.; Fernández-Mazuecos, M.; Fiz-Palacios, O.; Hipp, A.L. ; Pimentel, M.; Jiménez-Mejías, P.; Valcárcel, V.; Vargas, P.; Luceño, M. 2014. Karyotypic Changes through Dysploidy Persist Longer over Evolutionary Time than Polyploid Changes. PLoS ONE 9: e85266. Fernández-Mazuecos, M.; Jiménez-Mejías, P.; Rotllan-Puig, X.; Vargas, P. 2014. Narrow endemics to Mediterranean islands: Moderate genetic diversity but narrow climatic niche of the ancient, critically endangered Naufraga (Apiaceae). Perspectives in Plant Ecology, Evolution and Systematics 16: 190-202. Liberal, I.M. ; Burrus, M.; Suchet, C.; Thébaud, C.; Vargas, P. 2014. The evolutionary history of Antirrhinum in the Pyrenees inferred from phylogeographic analyses. BMC Evolutionary Biology 14 (1): e146. Magallon, S.; Vargas ,P. 2014. Eudicotyledons: The Greatest Flower Diversity in Angiosperms. In: Vargas; Zardoya (eds. ).The Tree of Life. Sinauer Associates, Inc., Publishers, Sunderland, US. pp. 156-166. Otero, A.; Jiménez-Mejías, P.; Valcárcel, V.; Vargas, P. 2014 Molecular phylogenetics and morphology support two new genera (Memoremea and Nihon) of Boraginaceae s.s. Phytotaxa 173: 241-277. Rumeu, B.; Vargas, P.; Jaén-Molina, R.; Nogales, M.; Caujapé-Castells, J. 2014. Phylogeography and genetic structure of the threatened Canarian Juniperus cedrus (Cupressaceae). Botanical Journal of the Linnean Society 175: 376-394. Valcarcel,V. ; Vargas, P.I. 2014. Tracheophytes: Land Conquest by Vascular Plants. In: Vargas; Zardoya (eds. ).The Tree of Life. Sinauer Associates, Inc., Publishers, Sunderland, US. pp. 96-108. Vargas, P. 2014. Angiosperms: Plants with Flowers that Produce Fruits. In: Vargas; Zardoya (eds. ).The Tree of Life. Sinauer Associates, Inc., Publishers, Sunderland, US. pp. 132-142. Vargas, P. 2014. Evolution on Islands. In: Vargas; Zardoya (eds. ).The Tree of Life. Sinauer Associates, Inc., Publishers, Sunderland, US. pp. 577-594. Vargas, P. 2014. Mammals: Prolific Speciation after Dinosaurs' Demise. In: Vargas; Zardoya (eds. ).The Tree of Life. Sinauer Associates, Inc., Publishers, Sunderland, US. pp. 502-518. Vargas, P.; Nogales, M.; Jaramillo, P.; Olesen, J. M.; Traveset, A.; Heleno, R. 2014. Plant colonization across the Galápagos Islands: success of the sea dispersal syndrome. Botanical Journal of the Linnean Society, 174: 349-358. Vargas, P.; Valente, L.M. ; Blanco-Pastor, J.L. ; Liberal, I.; Guzmán, B.; Cano, E.; Forrest, A.; Fernández-Mazuecos, M. 2014. Testing the biogeographical congruence of palaeofloras using molecular phylogenetics: snapdragons and the Madrean-Tethyan flora. Journal of Biogeography 41: 932-943. Vargas, P.; Zardoya, R. 2014. The Tree of Life. Sinauer Associates Inc., Publishers, Sunderland, US. 713 pp. ISBN 978-1-60535-229-9. Zamora, S.; Dominguez, P.; Vargas, P. 2014. Echinoderms: Reinventing Radial Symmetry. In: Vargas; Zardoya (eds. ).The Tree of Life. Sinauer Associates, Inc., Publishers, Sunderland, US. pp. 448-459. Alarcón, M.; Roquet, C.; García-Fernández, A.; Vargas, P.; Aldasoro, J.J. 2013. Phylogenetic and phylogeographic evidence for a Pleistocene disjunction between Campanula jacobaea (Cape Verde Islands) and C. balfourii (Socotra). Molecular Phylogenetics and Evolution 69: 828-836. Alarcón, M.L. ; Vargas, P.; Aldasoro, J.J. 2013 Erodium maritimum (Geraniaceae), a species with an uneven and fragmented distribution along the Western Mediterranean and European Atlantic coasts, has a weak genetic structure. Plant Biology 15: 186-194. Amat, M.E. ; Silvertown, J.; Vargas, P. 2013. Strong spatial genetic structure reduces reproductive success in the critically endangered plant genus Pseudomisopates. Journal of Heredity 104: 692-703. Amat, M.E. ; Vargas, P.; Gómez, J.M. 2013. Effects of human activity on the distribution and abundance of an endangered Mediterranean high-mountain plant (Erysimum penyalarense). Journal for Nature Conservation 21: 262-271. Besnard, G.; Khadari, B.; Navascués, M.; Fernández-Mazuecos, M.; El Bakkali, B.; Arrigo, N.; Baali-Cherif, D.; Brunini-Bronzini de Caraffa, V.; Santoni, S.; Vargas, P.; Savolainen, V. 2013. The complex history of the olive tree: from Late Quaternary diversification of Mediterranean lineages to primary domestication in the northern Levant. 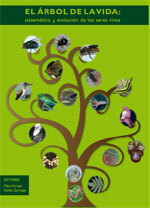 Proceedings of the Royal Society B: Biological Sciences 280: 20122833. Blanco-Pastor, J.L. ; Fernández-Mazuecos, M.; Vargas, P. 2013. Past and future demographic dynamics of alpine species: Limited genetic consequences despite dramatic range contraction in a plant from the Spanish Sierra Nevada. Molecular Ecology 22: 4177-4195. Blanco-Pastor, J.L. ; Vargas, P. 2013. Autecological traits determined two evolutionary strategies in Mediterranean plants during the Quaternary: low differentiation and range expansion versus geographical speciation in Linaria. Molecular Ecology 22: 5651-5668. Fernández-Mazuecos, M.; Blanco-Pastor, J.L. ; Gómez, J.M. ; Vargas, P. 2013. Corolla morphology influences diversification rates in bifid toadflaxes (Linaria sect. Versicolores). Annals of Botany 112: 1705-1722. Fernández-Mazuecos, M.; Blanco-Pastor, J.L. ; Vargas, P. 2013. A phylogeny of toadflaxes (Linaria Mill.) based on nuclear ITS sequences: systematic and evolutionary consequences. International Journal of Plant Sciences 174(2): 234-249. Fernández-Mazuecos, M.; Vargas, P. 2013. Congruence between distribution modelling and phylogeographical analyses reveals Quaternary survival of a toadflax species (Linaria elegans) in oceanic climate areas of a mountain ring range. New Phytologist 198(4): 1274-1289. García-Verdugo, C.; Calleja, J.A. ; Vargas, P.; Silva, L.; Moreira, O.; Pulido, F. 2013 Polyploidy and microsatellite variation in the relict tree Prunus lusitanica L.: How effective are refugia in preserving genotypic diversity of clonal taxa? Molecular Ecology 22: 1546-1557. Heleno, R.H.; Olesen, J.M. ; Nogales, M.; Vargas, P.; Traveset, A. 2013. Seed dispersal networks in the Galápagos and the consequences of alien plant invasions. Proceedings of the Royal Society of London B 280 (1750). Navarro-Pérez, M.L. ; López, J.; Fernández-Mazuecos, M.; Rodríguez-Riaño, T.; Vargas, P.; Ortega-Olivencia, A. 2013. The role of birds and insects in pollination shifts of Scrophularia (Scrophulariaceae). Molecular Phylogenetics and Evolution 69: 239-254. Traveset, A.; Heleno, R.; Chamorro, S.; Vargas, P.; McMullen, C. K.; Castro-Urgal, R.; Nogales, M.; Herrera, H.W. ; Olesen, J.M. 2013. Invaders of pollination networks in the Galapagos Islands: emergence of novel communities. Proceedings of the Royal Society of London B 280: 20123040. Valcárcel, V.; Vargas, P. 2013. Phylogenetic reconstruction of key traits in the evolution of ivies (Hedera L.) Plant Systematics and Evolution 299:447-458. Valente, L.M. ; Vargas, P. 2013. Contrasting evolutionary hypotheses between two mediterranean‐climate floristic hotspots: the Cape of southern Africa and the Mediterranean Basin. Journal of Biogeography 40: 2032-2046. Alarcón, M.; Vargas, P.; Sáez, L.; Molero, J.; Aldasoro, J. J. 2012. Genetic diversity of mountain plants: two migration episodes of Mediterranean Erodium (Geraniaceae). Molecular Phylogenetics and Evolution 63: 866-876. Blanco-Pastor, J.L. ; Vargas, P.; Pfeil, B.E. 2012. Coalescent simulations reveal hybridization and incomplete lineage sorting in mediterranean Linaria. PLoS ONE 7 (6): e39089. Calviño-Cancela, M.; Escudero, M.; Rodríguez-Pérez, J.; Cano, E.; Vargas, P., Velo-Antón, G., Traveset, A. The role of seed dispersal, pollination and historical effects on genetic patterns of an insular plant that has lost its only seed disperser. Journal of Biogeography 39: 1996-2006. Cires, E.; Cuesta, C.; Vargas, P.; Fernández Prieto, J.A. 2012. Unravelling the evolutionary history of the polyploid complex Ranunculus parnassiifolius (Ranunculaceae). Biological Journal of the Linnean Society 107: 477-493. Nogales, M.; Heleno, R.; Traveset, A.; Vargas, P. 2012 Evidence for overlooked mechanisms of long-distance seed dispersal to and between oceanic islands. The New Phytologist 194: 313-317. Otero, A.; Valcárcel, V.; Jiménez Mejías, P.; Vargas, P. 2012. Reaparición de Gyrocaryum en Madrid. Conservación Vegetal. Santos-Gally, R. Vargas, P.; Arroyo, J. 2012. Insights into Neogene Mediterranean biogeography based on phylogenetic relationships of mountain and lowland lineages of Narcissus (Amaryllidaceae). Journal of Biogeography 39: 782-798. Vargas, P.; Heleno, R.; Traveset, A.; Nogales, M. 2012 Colonization of the Galápagos Islands by plants with no specific syndromes for long-distance dispersal: a new perspective. Ecography 35: 33-43. Amat, M.E. ; Vargas, P.; Gómez, J.M. 2011. Pollen quality limitation in the Iberian critically endangered genus Pseudomisopates (Antirrhinaceae). Plant Ecology 212(6): 1069-1078. Balaguer, L.; Arroyo-García, R.; Jiménez, P.; Jiménez, M. D.; Villegas, L.; Cordero, I.; Rubio de Casas, R.; Fernández-Delgado, R.; Ron, M. E.; Manrique, E.; Vargas, P.; Cano, E.; Pueyo, J.J.; Aronson, J. 2011. Forest Restoration in a Fog Oasis: Genetic and Ecophysiological Evidence Indicates Need for Cultural Awareness in Constructing the Reference. PLoS ONE 6(8): e23004. De Casas, R.R. ; Vargas, P.; Pérez-Corona, E.; Manrique, E.; García-Verdugo, C.; Balaguer, L. 2011. Sun and shade leaves of Olea europaea respond differently to plant size, light availability and genetic variation. Functional Ecology 25: 802-812. Guzmán, B.; Narbona, E.; Vargas, P. 2011. Similar reproductive success of the two petal colour polymorphisms of Cistus ladanifer (Cistaceae). Plant Biosystems 145: 931-937. Heleno, R.; Blake, S.; Jaramillo, P.; Traveset, A.; Vargas, P.; Nogales, M. 2011. Frugivory and seed dispersal in the Galápagos: what is the state of the art? Integrative Zoology 6: 88-106. Valente, L.; Savolainen, V.; Manning, J.C.; Goldblatt, P.; Vargas, P. 2011. Explaining disparities in species richness between Mediterranean floristic regions: a case study in Gladiolus (Iridaceae). Global Ecology and Biogeography 20:881-892. Vargas, P.; Carrió, E.; Guzmán, B.; Amat, E.; Güemes, J. 2009. A geographical pattern of Antirrhinum (Scrophulariaceae) speciation since the Pliocene based on plastid and nuclear DNA polymorphisms. J. Biogeogr. 36, 1297–1312. De Casas, R.R. ; Cano, E.; Balaguer, L.; Pérez-Corona, E.; Manrique, E.; García-Verdugo, C. et al. 2007. Taxonomic identity of Quercus coccifera L. in the Iberian peninsula is maintained in spite of widespread hybridisation, as revealed by morphological, ISSR and ITS sequence data. Flora: Morphology, Distribution, Functional Ecology of Plants, 202 (6), 488-499. Guzmán, B.; Vargas, P. 2005. Systematics, character evolution, and biogeography of Cistus L. (Cistaceae) based on ITS, trnL-trnF, and matK sequences. Molecular Phylogenetics and Evolution 37(2): 644-660. Vargas P. 2004. Olivo. En: Vargas P. Jardín Botánico de Madrid: un paseo guiado. Ibersaf, Madrid, 300 pp. ISBN 84-95803-18-6. Vargas, P.; Rosselló, J. A.; Oyama, R.; Güemes, J. 2004. Molecular evidence for naturalness of genera in the tribe Antirrhineae (Scrophulariaceae) and three independent evolutionary lineages from the New World and the Old. Plant Systematics and Evolution 249: 151-172. Hess, J.; Kadereit, J.; Vargas, P. 2000. The colonization history of Olea europaea L. in Macaronesia based on internal transcribed spacer 1 (ITS-1) sequences, randomly amplified polymorphic DNAs (RAPD), and inter-simple sequence repeats (ISSR). Molecular Ecology 9: 857-868. Vargas, P., Baldwin, B.G. ; Constance, L. 1998. Nuclear ribosomal DNA evidence for a western North American origin of Hawaiian and South American species of Sanicula (Apiaceae). Proceedings of the National Academy of Sciences of the United States of America 95: 235-240. Traveset, A.; Nogales, M.; Vargas, P.; Rumeu, B.; Olesen, J.M. ; Jaramillo, P.; Heleno, R. 2016. Galápagos land iguana (Conolophus subcristatus) as a seed disperser. Integrative Zoology 11(3):207-213. Balao, F.; Valente, L.M. ; Vargas, P.; Herrera, J.; Talavera, S. 2010 Radiative evolution of polyploid races of the Iberian carnation Dianthus broteri (Caryophyllaceae). The New Phytologist 187: 542-551. Bastida, J.M. ; Alcántara, J.M. ; Rey, P.J. ; Vargas, P.; Herrera, C.M. 2010 Extended phylogeny of Aquilegia: the biogeographical and ecological patterns of two simultaneous but contrasting radiations. Plant systematic and Evolution 284:171–185. Carrió, E.; Forrest, A.D.; Güemes, J.; Vargas, P. 2010 Evaluating species nonmonophyly as a trait affecting genetic diversity: a case study in three endangered species of Antirrhinum L. (Scrophulariaceae). Plant Systematics and Evolution 288: 43-58. Escudero, M.; Valcárcel, V.; Vargas, P.; Luceño, M. 2010 Bipolar disjunctions in Carex: Long distance dispersal, vicariance, or parallel evolution? Flora 205: 118–127. Escudero, M.; Vargas, P.; Arens, P.; Ouborg, N.J.; Luceño, M. 2010 The east-west-north colonization history of the Mediterranean and Europe by the coastal plant Carex extensa (Cyperaceae). Molecular Ecology 19: 352-370. García-Verdugo C.; Forrest A.D.; Fay M.F. ; Vargas P. 2010. The relevance of gene flow in metapopulation dynamics of an oceanic island endemic, Olea europaea subsp guanchica. Evolution 64: 3525-3536. García-Verdugo, C.; Forrest, A. D.; Fay, M. F.; Balaguer, L..; Vargas, P. 2010 Parallel evolution of insular Olea europaea subspecies based on geographical structuring of plastid DNA variation and phenotypic similarity in leaf traits. Botanical Journal of the Linnean Society 162: 54–63. Guzmán, B.; Vargas, P. 2010. Unexpected synchronous differentiation in Mediterranean and Canarian Cistus. Perspectives in plant ecology, evolution and systematics 12:163-174. Martín-Bravo, S.; Valcárcel, V.; Vargas, P.; Luceño, M. 2010 Geographical speciation related to Pleistocene range shifts in the western Mediterranean mountains (Reseda sect. Glaucoreseda, Resedaceae). Taxon 59: 466-482. Martínez, J.; Vargas, P.; Luceño, M.; Cuadrado, A. 2010 Evolution of Iris subgenus Xiphium base don chromosome numbers, FISH of nrDNA (5S, 45S) and trnL-trnF sequence analysis. Plant Systematics and Evolution 289: 223-235. Narbona, E.; Guzmán, B.; Arroyo, J.; Vargas, P. 2010 Why are fruits of Cistus ladanifer (Cistaceae) so variable? : a multi-level study across its geographical range. Perspectives in Plant Ecology, Evolution and Systematics (aceptado). 12: 305–315. Valcárcel, V.; Vargas, P. 2010. Quantitative morphology and species delimitation under the General Lineage Concept: Hedera L. (Araliaceae) case. American Journal of Botany (aceptado). 97: 1555-1573. Vargas, P.; Ornosa, C.; Ortiz-Sánchez, F.J.; Arroyo, J. 2010. Is the occluded corolla of Antirrhinum bee-specialized? Journal of Natural History, 44: 23, 1427 - 1443. Besnard, G.; Rubio de Casas, R.; Christin, P.A. ; Vargas, P. 2009. Phylogenetics of Olea (Oleaceae) based on plastid and nuclear ribosomal DNA sequences: Tertiary climatic shifts and lineage differentiation times. Annals of Botany 104: 143-160. Dixon, C J.; Schönswetter, P.; Vargas, P.; Ertl, S.; Schneeweiss, G.M. 2009. Bayesian hypothesis testing supports long-distance Pleistocene migrations in a European high mountain plant (Androsace vitaliana, Primulaceae) Molecular Phylogenetics and Evolution 53: 580-591. Ferrero, V.; Arroyo, J.; Vargas, P.; Thompson, J. D.; Navarro, L. 2009. Evolutionary transitions of style polymorphisms in Lithodora (Boraginaceae). Perspectives in Plant Ecology, Evolution and Systematics 11: 111-125. García-Maroto, F.; Mañas-Fernández, A.; Garrido-Cárdenas, J.A. ; López-Alonso, D.; Guil-Guerrero, J.L. ; Guzmán, B.; Vargas, P. 2009. Delta6-desaturase sequence evidence for explosive Pliocene radiations within the adaptive radiation of Macaronesian Echium (Boraginaceae).Molecular Phylogenetics and Evolution 52, 563-574. Guzmán, B.; Lledó, M.D. ; Vargas, P. 2009. Adaptive radiation in Mediterranean Cistus (Cistaceae). PlosOne 4: e6362. Guzmán, B.; Vargas, P. 2009. Historical biogeography and character evolution of Cistaceae (Malvales) based onanalysis of plastid rbcL and trnL-trnF sequences. Organisms, diversity and evolution 9: 83-99. Guzmán, B.; Vargas, P. 2009. Long distance colonisation by the Mediterranean Cistus ladanifer (Cistaceae) despite the absence of special dispersal mechanisms. Journal of Biogeography 36: 954-968. Martínez Rodríguez, P;. Vargas, P.; Carine, M.; Jury, S. 2009. Iris rutherfordii Mart. Rodr., P. Vargas, Carine & Jury (iridaceae, Iris subgen. Xiphium (Mill.) Spach), a new species from Morocco. Candollea 64: 127-132. Rodríguez, J.M. ; Vargas Gómez, P.; Carine, M.; Jury, S. 2009. Iris rutherfordii Mart. Rodr., P. Vargas, Carine & Jury (Iridaceae, Iris subgen. Xiphium (Mill.) Spach), a new species from Morocco. Candollea, 64 (1): 127-132. Rodríguez-García, F.; Guzmán, B.; Valido, A.; Vargas, P.; Arroyo, J. 2009. Late Neogene history of the laurel tree (Laurus L., Lauraceae) based on phylogeographical analyses of Mediterranean and Macaronesian populations. Journal of Biogeography 36, 1270-1281. Rodríguez-Sánchez, F.; Guzmán, B.; Vargas, P.; Arroyo, J. (2009) Late Neogene history of the laurel tree (Laurus L., Lauraceae) based on phylogeographical analyses of Mediterranean and Macaronesian populations. Journal of Biogeography 36: 1270-1281. Rubio de Casas, R.; Vargas, P.; Pérez-Corona, E.; Cano, E.; Manrique, E.; García-Verdugo, C.; Balaguer, L. (2009) Variation in sclerophylly among Iberian populations of Quercus cocifera L. is associated with genetic differentiation across contrasting environments. Plant Biology 11: 464-472. Besnard, G.; Garcia-Verdugo, C.; Rubio de Casas, R.; Treier, U.A. ; Galland, N.; Vargas, P. 2008 Polyploidy in the olive complex (Olea europaea): evidence from flow cytometry and nuclear microsatellite analyses. Annals of Botany 101: 25-30. Escudero, M.; Valcárcel, V.; Vargas, P.; Luceño, M. 2008 Evolution in Carex L. sect. Spirostachyae (Cyperaceae): a molecular and cytogenetic approach. Organism, Diversity and Evolution 7: 271-291. Escudero, M.; Vargas, P.; Valcárcel, V.; Luceño, M. 2008. Strait of Gibraltar: an effective gene-flow barrier for wind-pollinated Carex helodes (Cyperaceae) as revealed by DNA sequences, AFLP, and cytogenetic variation. American Journal of Botany 95:745-755. Fiz, O.; Vargas, P.; Alarcón, M.; Aedo, C.; García, J.L. ; Aldasoro, J.J. 2008. Phylogeny and historical biogeography of geraniaceae in relation to climate changes and pollination ecology. Systematic Botany, 33 (2): 326-342. Rodríguez Sánchez, F.; Pérez-Barrales, R.; Ojeda, F.; Vargas, P.; Arroyo, J. 2008. The Strait of Gibraltar as a melting pot for plant biodiversity. Quaternary Science Reviews, 27: 2100-2017. Vargas, P.; García, B. 2008. Plant endemics to Sierra de Gredos (central Spain): taxonomic, distributional, and evolutionary aspects. Anales del Jardín Botánico de Madrid 65(2):353-366. Vargas, P.; Manrique, E. 2008. La botánica española en el contexto de la biología evolutiva: análisis histórico, productividad y financiación. E-volución 3(1): 37-49. Besnard, G.; de Casas, R.R. ; Vargas, P. 2007. Plastid and nuclear DNA polymorphism reveals historical processes of isolation and reticulation in the olive tree complex (Olea europaea). Journal of Biogeography 34 (4): 736-752. Martín-Bravo, S.; Meimberg H.; Luceño, M.; Märkl, W.; Valcárcel, V.; Bräuchler, C.; Vargas, P.; Heubl, G. 2007. Molecular systematics and biogeography of Resedaceae based on ITS and trnL-F sequences. Molecular Phylogenetics and Evolution 44(3): 1105-1120. Rubio de Casas, R.; Cano, E.; Balaguer, L.; Pérez-Corona, E.; Manrique, E.; García-Verdugo, C.; Vargas, P. 2007. Taxonomic identity of Quercus coccifera L. in the Iberian Peninsula is maintained in spite of widespread hybridisation, as revealed by morphological, ISSR and ITS sequence data. Flora 202: 488-499. Rubio de Casas, R.; Vargas, P.; Pérez-Corona, E.; Manrique, E.; Quintana, J.R.; García-Verdugo, C. et al. 2007. Field patterns of leaf plasticity in adults of the long-lived evergreen Quercus coccifera. Annals of Botany, 100 (2), 325-334. Vargas, P. 2007. Are Macaronesian islands refugia of relict plant lineages? : a molecular survey. In: Phylogeography in Southern European Refugia: evolutionary perspectives on the origins and conservation of European biodiversity, Eds. Weiss, S. J. & Ferrand, N. Kluwer Academic Publishers, Dordrecht, Holanda. Armbruster, W.S. ; Perez-Barrales, R.; Arroyo, J.; Edwards, M.E. ; Vargas, P. 2006. Three-dimensional reciprocity of floral morphs in wild flax (Linum suffruticosum): a new twist on heterostyly. New Phytologist 171 (3): 581-590. De Casas, R.R. ; Besnard, G.; Schonswetter, P.; Balaguer, L.; Vargas, P. 2006. Extensive gene flow blurs phylogeographic but not phylogenetic signal in Olea europaea L. Theoretical and Applied Genetics 113 (4): 575-583. Fiz, O.; Vargas, P.; Alarcón, M.; Aldasoro, J.J. 2006. Phylogenetic Relationships and Evolution in Erodium (Geraniaceae) based on trnL-trnF Sequences. Systematic Botany, 31: 739-763. Rubio, R.; Besnard, G.; Schönswetter, P.; Balaguer, L.; Vargas, P. 2006. Extensive gene flow blurs phylogeographic but not phylogenetic signal in Olea europaea L. Theoretical Applied Genetics 113: 575 - 583. Valcarcel, V; Vargas, P.; Nieto Feliner, G. 2006. Phylogenetic and phylogeographic analysis of the westerm Mediterranean Arenaria section Plinthine (Caryophyllaceae) based on nuclear, plastid and morphological markers. Taxon 55 (2): 297-312. Vargas, P. 2006. Are Macaronesian islands refugia of relict plant lineages? : a molecular survey. In: Phylogeography in Southern European Refugia: evolutionary perspectives on the origins and conservation of European biodiversity , Eds. Weiss, S. J. & Ferrand, N. Kluwer Academic Publishers, Dordrecht, Holanda (en prensa). Pérez, R., Vargas, P. & Arroyo, J. 2004. Evolution of flower polymorphism in Narcissus (Amaryllidaceae): the role of convergence. The New Phytologist 161: 235-252. Vargas, P. 2004. Jardín Botánico de Madrid: un paseo guiado (editor científico). Ibersaf, Madrid, 300 pp. Aedo, C.; Vargas, P. 2003. Seseli L. In: Nieto Feliner, G., S. L. Jury & A. Herrero (eds. ), Flora iberica 10: 202-215.CSIC, Madrid. Valcárcel, V.; Fiz, O.; Vargas, P. 2003. Chloroplast and Nuclear Evidence for Multiple Origins of Polyploids and Diploids of Hedera (Araliaceae) in the Mediterranean Basin. Molecular Phylogenetic and Evolution 27(1):1-20. Vargas, P. 2003. Athamanta L. In: Nieto Feliner, G., S. L. Jury & A. Herrero (eds. ), Flora iberica 10: 228-232. CSIC, Madrid. Vargas, P. 2003. Sanicula L. In: Nieto Feliner, G., S. L. Jury & A. Herrero (eds. ), Flora iberica 10: 30-32.CSIC, Madrid. Vargas, P. 2003. Molecular evidence for multiple diversification patterns of alpine plants in Mediterranean Europe. Taxon 52(3): 463-476. Aldasoro, J. J.; Navarro, C.; Vargas, P.; Sáez, L.; Aedo, C. 2002. California, a new genus of Geraniaceae endemic to the southwest of North America. Anales Jard. Bot. Madrid 59(2): 209-216. Fiz, O.; Valcárcel, V.; Vargas, P. 2002. Phylogenetic position of Mediterranean Astereaeand character evolution of daisies (Bellis, Asteraceae) inferredfrom nrDNA ITS sequences. Molecular Phylogenetics and Evolution 25:157-171. Rubio, R.; Balaguer, L.; Manrique, E.; Pérez, E.; Vargas, P. 2002. On the historical presence of the wild olive [Olea europaea L. var. sylvestris (Miller) Lehr. (Oleaceae)] in the Eurosiberian region of the Iberian Peninsula. Anales Jard. Bot. Madrid 59(2): 342-344. Valcárcel, V.; Vargas, P. 2002 . Hacia un tratamiento taxonómico de las hiedras (Hedera L., Araliaceae) ibéricas: de caracteres morfológicos a moleculares. Anales Jard. Bot. Madrid 59(2): 363-368. Aldasoro, J.J.; Navarro, C.; Vargas, P.; Aedo, C. 2001. Anatomy, morphology, and cladistic analysis of Monsonia L. (Geraniaceae). Anales Jard. Bot. Madrid 59: 75-100. Fiz, O.; Valcárcel, V.; Martínez, J.; Vargas, P.; Güemes, J. 2000. Antirrhinum siculum Mill. (Scrophulariaceae) in Morocco: a new record for Africa. Anales Jard. Bot. Madrid 58(2): 362-363. Vargas, P. 2001.Phylogenetic and evolutionary insights in the Saxifraga pentadactylis complex (Saxifragaceae): variation of nrITS sequences. Nordic Journalof Botany 21: 75-82. Vargas, P.; Kadereit, J. 2001. Molecular fingerprinting ISSR (Inter-Simple Sequence Repeats)evidence for a wild status of Olea europaea L. (Oleaceae) in the Eurosiberian North of the Iberian Peninsula. Flora 196(3): 142-152. Vargas, P., Muñoz Garmendia, F.; Hess, J.; Kadereit, J. 2000. Olea europaea subsp. guanchica and subsp. maroccana (Oleaceae), two new names for olive tree relatives. Anales J. Bot. Madrid 58(2): 360-361. Esteban, J.; Martínez-Castro, I.; Vargas, P.; Sanz, J. 1999. Chemosystematic study on leaf volatile compounds of Saxifraga L. Series Ceratophyllae (Saxifragaceae). Biochemical Systematics and Ecology 27: 255-268. Vargas, P., Baldwin, B. G., Constance, L. 1999. A Phylogenetic Study of Sanicula sect. Sanicoria and S. sect. Sandwicenses (Apiaceae) Based on Nuclear rDNA and Morphological Data. Sytematic Botany 24: 228-248. Vargas, P.; McAllister, H.; Morton, C.; Jury, S. L.; Wilkinson, M. J. 1999. Polyploid speciation in Hedera L.: phylogenetic and biogeographic insights based on chromosome counts and ITS sequences. Plant Systematics and Evolution 219: 165-179. Vargas, P.; Morton, C. M.; Jury, S. L. 1999. Biogeographic patterns in Mediterranean and Macaronesian species of Saxifraga (Saxifragaceae) inferred from phylogenetic analyses of ITS sequences. American Journal of Botany 86(5): 724-734.